The world may be getting older and older as the years drag on, but luckily for us each year brings new gadgets, gizmos and advancements in technology to make our lives easier. We are also seeing increasing affinity for travel around the world—whether for business or pleasure—which means we’re avidly looking for ways to make the whole process more efficient, hassle-free and practical. Rand Rescue takes a look at some new travel gadgets we cannot do without in 2019. For those of us who travel with children, the road is fraught with hurdles. In fact, ask any mum or dad and they will tell you just how much strain one’s arms and legs can handle when lugging around kids and luggage while rummaging around for passports, phones and other things on the go. Micro Lazy Luggage solves this problem by combining luggage with a kid-friendly riding trolley. The trolley is designed by Micro Mobility and capable of lugging around kids between the ages of 18 months and 4 years. It retails at around R1 400 depending on where you shop. If you’re heading out to explore some remote areas, chances are you’re worried about cell phone reception while on the go. goTenna Mesh is designed to keep people connected in areas with limited cell phone reception and is particularly handy for those who go hiking, mountain climbing or travel just outside city borders. 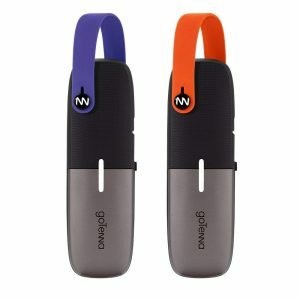 Two devices are linked—one which is left at a chosen location within a region of cellular connectivity and one which can be taken with you. The device pairs with your phone and enables private sending of texts and GPS location information to the other goTenna device up to 6.4 kilometres in range. The device retails at R2 500. 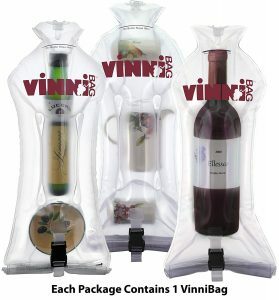 Whether you want to take enjoy a glass of bubbly on a mountain up high or want to spoil a loved one with a taste of the European vineyards, VinniBag is the ultimate accessory for those who carry fragile cargo around. The bags, which are reusable and recyclable, allow for adjustable inflation and are in line with all major airline requirements. Individual chambers inflate to the shape of the items they need to protect, whether perfume, cameras, glass containers or whatever else you need to protect. They retail at around R400. If there’s one thing most of us have struggled with when travelling it’s most definitely fitting all our things into our travel bags. Whether you roll, fold or bundle your belongings, it’s just not always possible to fit everything into your bag. 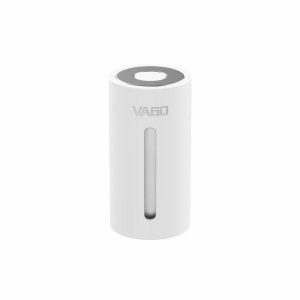 Luckily for us, Singapore company VAGO has designed a solution which is both lightweight and small. The VAGO travel compressor claims to create up to 50% more space in your luggage by vacuuming the space around items. The compressor retails at R840 (including medium vacuum bag) and you can buy additional vacuum bags ranging from small to large which cost between R180 and R280. We may not always think of our technological non-necessities when travelling, but once we do, there are a few things which may come in handy. Whether you’re travelling with the family and need ways to entertain them, or need to provide presentations on the go for business abroad, the Nebula Capsule takes care of your needs. 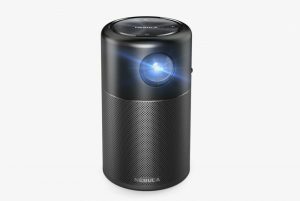 This tiny projector includes a 360 degree speaker and can project up to 100 inches (254 centimetres). It includes screen mirroring capabilities which is compatible with multiple devices and you can look forward to up to 4 hours of video and 30 hours of non-stop music play. All you need is a flat surface to project to. It retails at around R4 800. Not all of us can afford the luxury of high-end hotels boasting king sized beds with Egyptian cotton sheets. Even if you can afford this, you may not always travel to the most hospitable of places. Enters Brave Era and their remarkable hypoallergenic silk travel sheets. The lightweight sheets weigh a mere 170 g each, are bug resistant, machine washable and regulate heat. The sheets are ultra smooth and made of 100% natural silk. You can get yours for around R1 900 each. Our travels often take us off the beaten track, and this track is notoriously sans laundromats. If you’re one of those people who like to take the road less traveled and experience the world in a more rugged fashion, you may enjoy this little luxury during your stay. The Scrubba Wash Bag is the world’s smallest washing “machine”. The washing machine mimics the old fashioned washboard but adds a modern twist. It claims to be twice as effective as hand washing and more hygienic than your normal hotel sinks. Weighing in at 142 g it is also super lightweight and folds to fit into almost any bag. You can get yours for around R760. 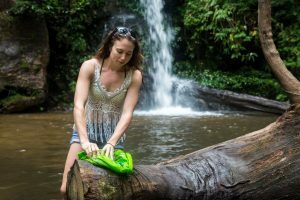 Water quality is a concern whether you’re travelling to major cities or exploring the wild outdoors. In urban areas water is polluted by industrial waste, sewage, improper purification and plastic waste, while rural areas can contain water-borne diseases like bilharzia, typhoid fever, cholera and other contaminants. 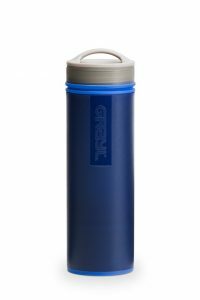 Grayl is aiming to ease concern for such issues with their water purification systems. The company claims that their one-press system removes 99.9999% of viruses, bacteria and protozoan cysts. It further claims to improve the flavour, odour and clarity of water by filtering sediment, chemicals and heavy metals. The system can filter 2 litres of water in one minute and each cartridge has 300 uses (150 L). One lightweight bottle costs R850. PhoneSoap is one of those nifty gadgets you never even knew you needed. This little gadget not only charges your phone but sanitises it while charging. 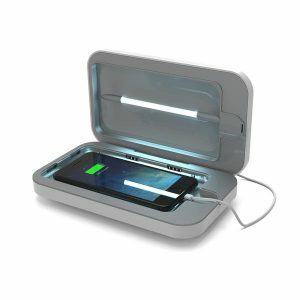 The gadget includes an acoustic audio amplifier which allows you to hear your alarms and other alerts while it is in the container and its two universal charging ports allows you to charge and sanitize multiple devices. It claims to kill 99.99% of bacteria with the use of its UVC technology and has an automatic shutdown mechanism to prevent overheating. It carries a lifetime warranty and will hit your pocket for around R840. The last entry in our article is an amazing gadget which kicks all its competition out of the park. 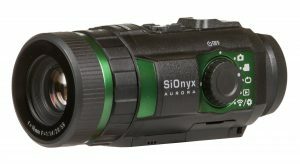 The SiOnyx Aurora Night Vision Camera sports advanced imaging technology which not only allows you to view scenery not visible to the naked eye at night, but to record these in full colour. What’s more, the camera can record in daytime as well as it adapts to lighting conditions AND it is 100% waterproof. You can even use your mobile phone to control your Aurora camera and it includes a GPS and compass. With great power comes great cost, however. As the most expensive item on our list, this baby will eat around R11 200 of your savings which is still worth it considering the cost of other cameras and GPS devices. Check in soon for more #RRTravel news. If you’re looking to travel in the near future, remember that Rand Rescue is your forex partner and can assist with fast transfers, competitive rates and assist you across the globe. Leave your details below and we’ll get back to you!